My name is Star T. and I would like to share my story. Diabetes has plagued my family. I lost my grandmother, grandfather, and my father (who raised me as a single dad) to complications related to diabetes. All three family members had renal failure and had to attend dialysis. In 2012 is when I lost my father and I knew I had to make a change otherwise I was looking at the same fate. I used to be against weight loss surgery but decided to check out my options. 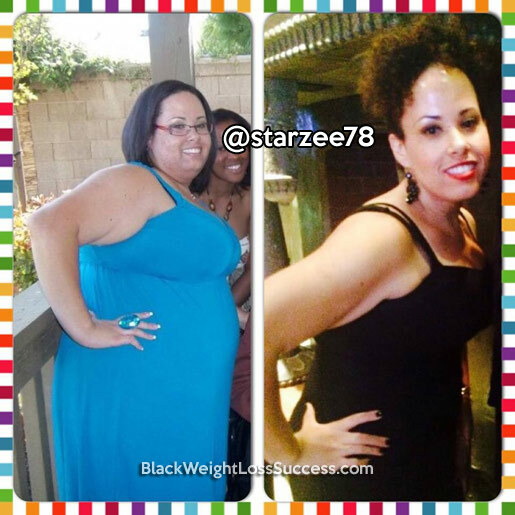 After getting educated about the options and doing my own research I opted for the gastric sleeve surgery. I had the procedure done on May 24th, 2013. It was the best decision I had ever made. My highest weight was 320 pounds and I currently weigh 184 pounds so I’ve lost 136 pounds. I’m 5 feet, 6 inches tall. I just celebrated my 2 year anniversary of having weight loss surgery on May 23rd. Prior to surgery, I would exercise but not nearly enough to be considered active. Now I work out 7 to 8 times a week doing “boot camp” style exercises. I also belong to the local Black Girls Run! chapter here in Sacramento which promotes healthier lifestyles and being active. 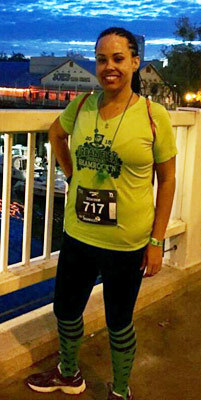 Since losing weight, I have completed several 5k races (running them, not walking). I have set a goal of completing my first half marathon in October. I’ve also inspired my family to get healthier and make better choices when it comes to food. Weight loss surgery isn’t cheating. It’s a tool and it’s up to you to use it properly. With weight loss surgery, eating is very restricted and that forces you to have to change your eating habits. I mostly consume protein, vegetables, and fruit. I’ve cut out a lot of carbs such as rice, potatoes, pastas, and bread. I do consume them but not as frequently as I used to prior to surgery. I never was a big soda drinker so that wasn’t hard for me to cut out. I’ve incorporated meal prepping, so on Sundays I will meal prep for the week and that usually consists of some type of protein like chicken breasts or ground turkey meat, a vegetable like sautéed spinach or broccoli, and usually a baked yam or quinoa. I find that meal prepping saves me from making bad choices. It’s an everyday struggle choosing the right foods to eat especially working in an office setting where there are lots of temptations. Good for you to take charge of your health/life. You look awesome! Congratulations, I am currently at down from 336 to 320 so I’m where you started..thanks for the motivation to keep going and inspiration.